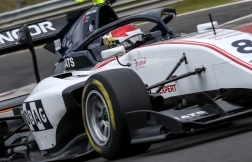 Swiss racing driver Fabio Scherer is confident he can shift his rookie FIA Formula 3 European Championship campaign into top gear at the legendary Zandvoort circuit in the Netherlands this weekend. 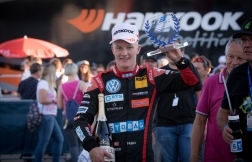 The 19-year-old hopes the 4.30km track, which nestles in the sand dunes a few hundred metres from the North Sea, will suit him well because it is a “real driver’s circuit” – the type that he relishes. Importantly, for the first time this season Fabio will compete on a track he has previously raced at. 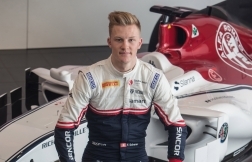 His most recent experience of Zandvoort came in the ADAC Formel 4 series in 2016. “It is a cool track that’s straight from the old school of motor racing,” explained Fabio, who comes from Lucerne. “There are some fun corners, although you have to be very precise with your racing lines because there is always a danger of going off the track if you run wide. The track is a real challenge and a driver needs to be physically very strong to get the best from it. Fabio, who races a Volkswagen-powered Dallara prepared by Motopark, explained that the circuit can throw up some unpredictable conditions: “It can be quite cold along the Dutch coast and so it is possible that it could rain at some point during the three days of competition. The fourth event of Fabio’s debut Formula 3 season will begin on Friday with free practice and the all-important qualifying sessions. Another challenge for competitors is the sand, which blows off the dunes surrounding the circuit on to the racing line. This can dramatically affect the level of grip during each track session. 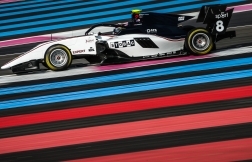 “Normally the conditions can change very fast due to the proximity of the sand dunes, although the downforce generated by an F3 car means the sand is quickly swept away from the racing line,” Fabio said. Fabio will compete in two races at Zandvoort on Saturday and one on Sunday, with each event lasting for 33 minutes plus one additional lap.